This Place of Worship was founded before 1200, and we understand it is still open. 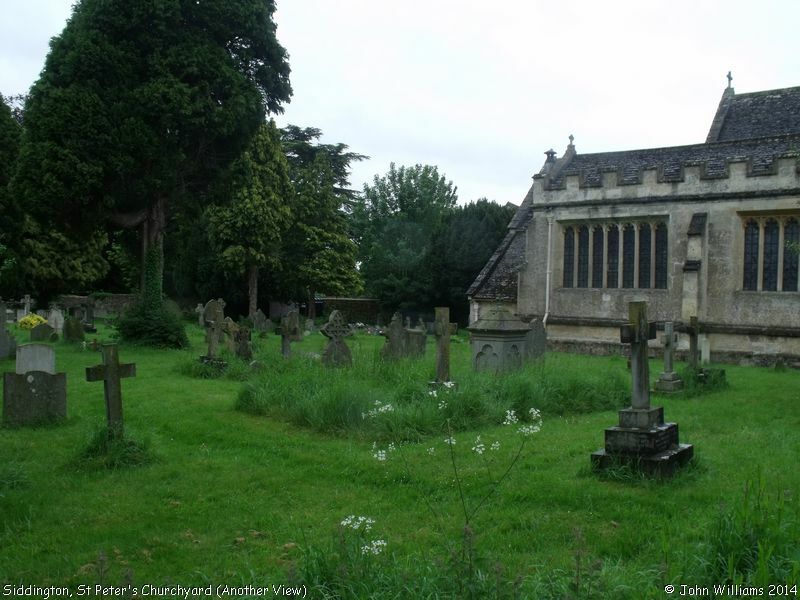 According to The Gloucestershire Village Book published by the Gloucestershire Federation of Women's Institutes in 1987, Siddington Church was given to the Knights Hospitallers of Quenington about 1200. Also by the church is an ancient Tithe Barn, which they suggest was probably built by the Knights soon after they received the property. Kelly's Directory of 1923 records that St Peter's consists of chancel, nave of four bays, north aisle, porch and south-west tower, with a spire containing 6 bells. There is a marble monument to the Hon. Benjamin Bathurst M.P. F.R.S. 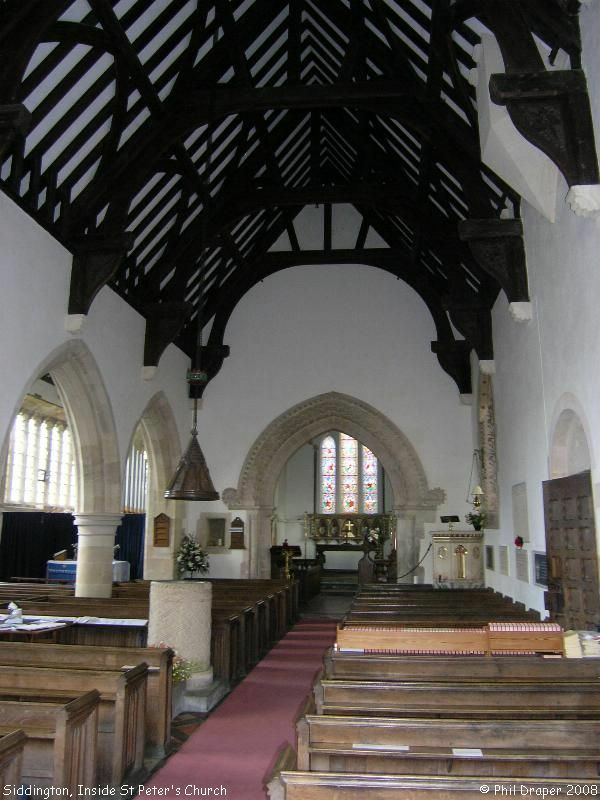 of Lydney, d.1767; and that the chancel contains two stained windows, a piscina, sedilia and a hagioscope. A hagioscope, or 'squint' was originally an opening in an internal wall of the church to permit the altar, and consequently the elevation of the host, to be visible from where it would be otherwise blocked by the wall. 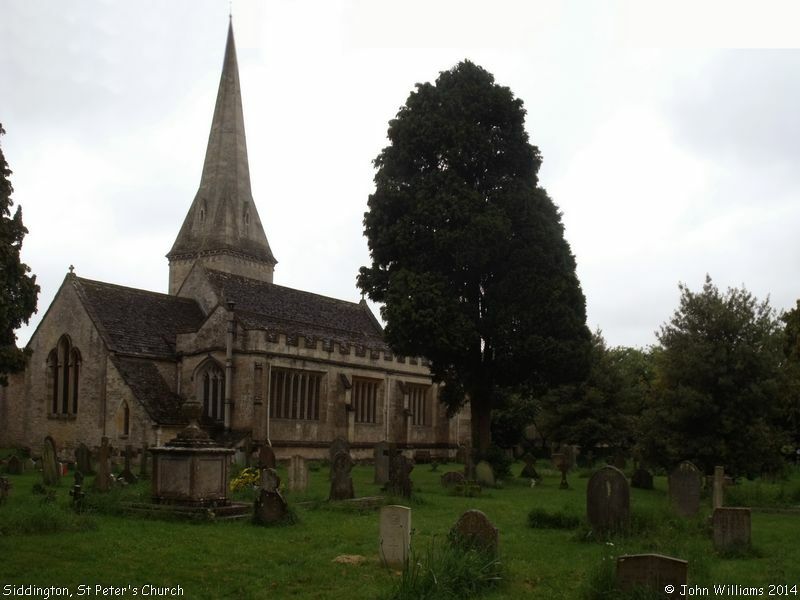 Several sources quote Samuel Rudder's "New History of Gloucestershire (1779), in which he states there was an unfinished tower at the west end. 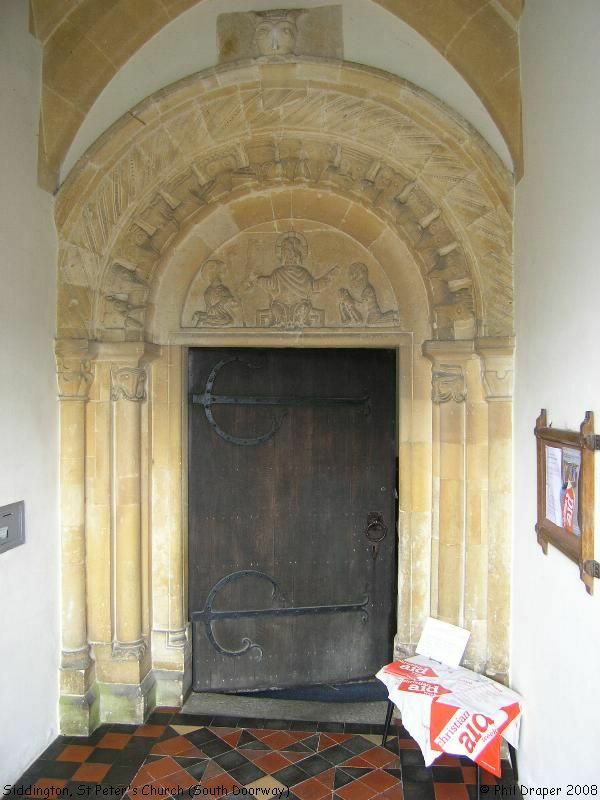 The South Doorway is Norman, contemporary with the original building. The tympanum is generally said to represent Christ in Majesty; but Phil Draper observes that the central figure holds the keys, so he questions whether it could represent St Peter sitting in judgement on the 2 figures on either side of him, the one on the left of which has a halo. 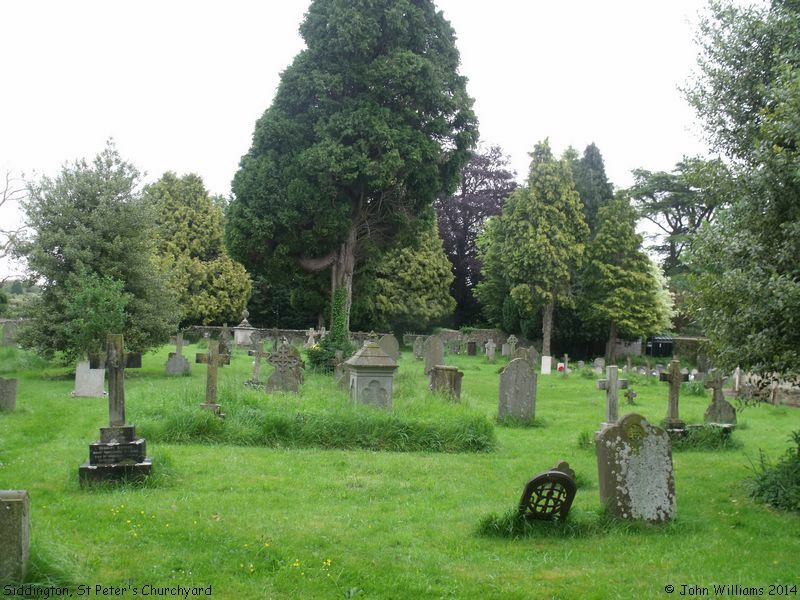 Once upon a time, Siddington had two churches. The settlements, sometimes known as Siddington St Mary (or Upper Siddington) and Siddington St Peter (Lower Siddington), were united by an Inclosure Act of 1778; St Mary's Church was subsequently demolished, and the parish of St Peter, Siddington has been united with that of Preston since 1928. It has also been known in the past as Siddington Langley, after the Langley family who were lords of the manor from the 14th century onwards. St Peter's Church, Siddington shown on a Google Map. Places of Worship in Siddington shown on a Google Map. I have found many websites of use whilst compiling the information for this database. Here are some which deserve mention as being of special interest for Siddington, and perhaps to Local History and Places of Worship as a whole. Information last updated on 9 Nov 2018 at 14:41. This Report was created 23 Apr 2019 - 00:56:07 BST from information held in the Gloucestershire section of the Places of Worship Database. This was last updated on 7 Feb 2019 at 07:45.